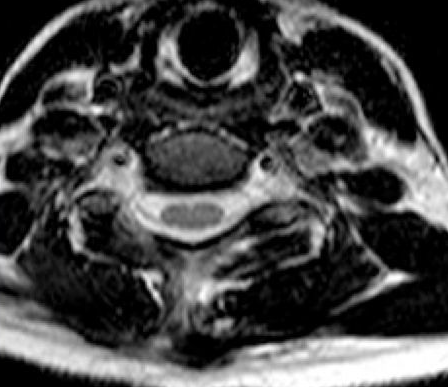 The images below are MRI scans showing the ‘before and after’ following a right C6 nerve root decompression via a posterior cervical foraminotomy. Hopefully it is clear that spinal fluid (white) is now visible around the nerve root confirming it has been decompressed on the second image. An XRay will be taken to localise very closely the site of surgery, this allows a very small skin incision to be made just over the nerve root to be decompressed. 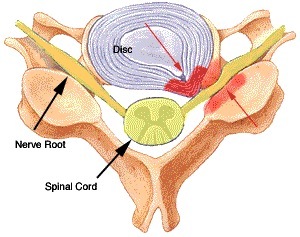 For a single nerve root the incision is usually 16-18mm long. 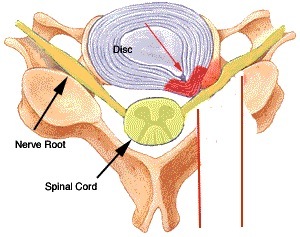 Previously, in order to get to the spine the muscle overlying the facet joint to be partly removed needs to be separated from the bone of the spine. This has now changed and I have adopted a new technique using a keyhole surgery method. 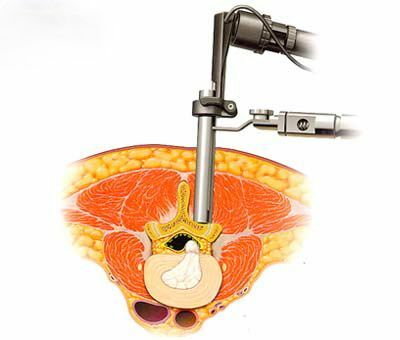 This uses a series of dilators to dilate a tract in the muscle, and the operation is performed via a small tube. This means a much smaller incision than previously, and less muscle trauma, and hence less neck pain after surgery. 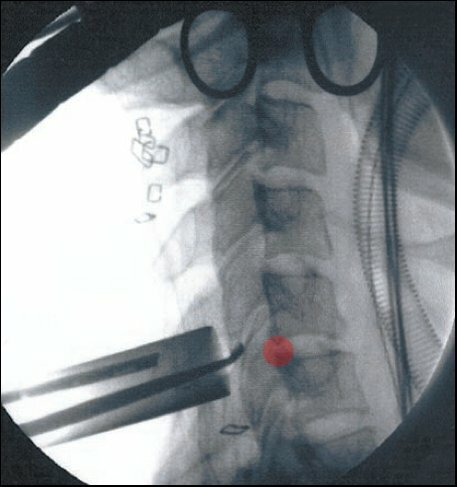 The image below has been taken during an operation. 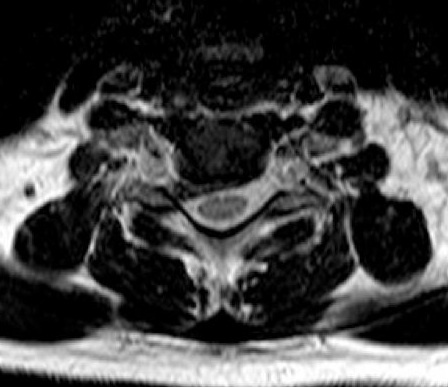 The tube can be seen passing from the skin to the spine, the red area represents approximately the area where a nerve root would be trapped.